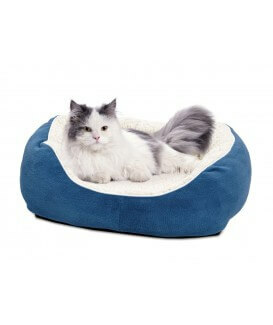 The QuietTime Boutique Cuddle Bed is the perfect resting spot for your petite pet. 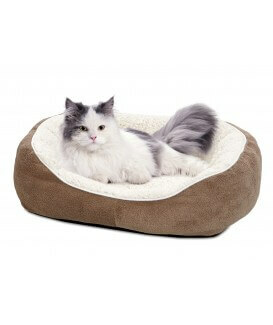 This extra-cushioned bed features a large comfy bolster that hugs your pet for unmatched relaxation. The Cuddle Bed is the perfect blend of comfort and durability. The plush cushion stands up to years of use and there's no need to wrestle with removing a cover when it's time to clean - the bed is 100% machine washable.